On a spring day in 1820, Joseph Smith walked into the woods near his home in Palmyra, N.Y., and knelt down to pray. While on his knees within this grove of trees, he claims to have not only seen, but spoken with, God and Jesus Christ, thus beginning his controversial and remarkably ambitious creation—The Church of Jesus Christ of Latter-day Saints. This creation, like any work of art, was intended to evoke emotions, steer thinking in a specific direction and, most importantly, convince believers that what they are seeing, hearing and feeling is true and real. Just as any painter creates a scene that can pull a person into the fantasy it reveals, or as a writer creates a story by placing fascinating characters into a captivating narrative, Smith created a church that embodied narrative, fantasy, thought and emotion. Using stories, philosophy, symbols, sculpture, mysticism and ritual, he constructed something that has grown into a worldwide interactive, organic work of art. A church without theater wouldn’t last long. People need the fantasy, the performance and the mystery, which Smith provided in his founding of a new church—rife with rituals, stories of travel from faraway lands and theatrical acts of mystical translations that are at the core of the church’s history. With theater being a crucial aspect of religion, it’s not too much of a reach to describe religion as a work of art. A religion generally is not viewed as such, and it is difficult to convince people that any religion qualifies as a work of art, but why? More than 30 years later, in 2008, conceptual artist Jonathon Keats created “The Atheon,” a temple of science for rational belief, a public art project commissioned by the Judah L. Magnes Museum in downtown Berkeley, Calif. It was not only a place of worship but also a brand-new religion. Keats wanted to create something for scientists and agnostics that places logic and reason on a pedestal the same way mainstream religion holds the idea of faith in God. In this project, the majority of his art was not visual—aside from the stained-glass window patterned after cosmic microwave background radiation, and the temple itself,the art was in the belief and the idea. Keats described this project as a “thought experiment”—an experiment where the thought itself, the idea and the wonder becomes the art. His work proves that experimenting with a belief can become an art piece. As a teenager, he began to see himself as the one who would prevail and bring his family out of poverty. He was determined to do this by finding buried treasure. According to Early Mormonism & the Magic World View and other accounts, it was quite common to see Smith throughout Palmyra using divining rods and seer stones in a pursuit to locate gold, silver and ancient artifacts. Because of his alleged mystic talent, he was often hired by neighboring farmers in their ultimately futile attempts to strike it rich. Unfortunately, his money-digging scheme eventually landed him in trouble with the law. In March 1826, according to the 1883 New Schaff-Herzog Encyclopedia of Religious Knowledge, Smith was taken to court for his “glass-looking” and found guilty of being “a disorderly person and an imposter” in the trial of the People of the State of New York v. Joseph Smith. These charges are important to his story because with his notoriety as a fraud, it was imperative that Smith be extremely creative when he established his new religion. All religions are complex works of art, but it’s almost impossible to look at the creative processes and origins of most of our world’s religions since they were established so long ago. While it’s not necessary to know the origin or history of a work of art to appreciate it, this knowledge does help in understanding and respecting the artist and, ultimately, the artwork. 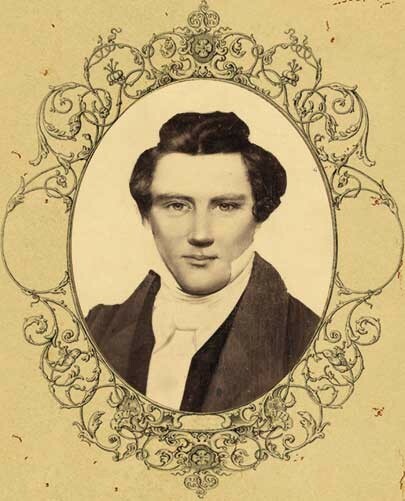 With Mormonism, one can trace its history and look at the church’s origins quite easily, as it is less than 200 years old and Joseph Smith’s creative process is well-documented in his visions, liturgies, afterlife concept, the overall belief in Mormonism and even in the millions of church followers. From his first vision in the woods to his commandment of plural marriage, he was teeming with creativity. And while his creative processes were important in founding his religion, it would be inaccurate to label Smith as a process artist. Process art implies that the process is more important than the outcome. In fact, many process artists will completely disregard the outcome because the process itself is the finished piece. But Smith’s finished piece, his enormous composition, is much too important to disregard. All artists use what they are familiar with in creating their art. They use objects that interest them as well as ideas and habits that they grew up with. 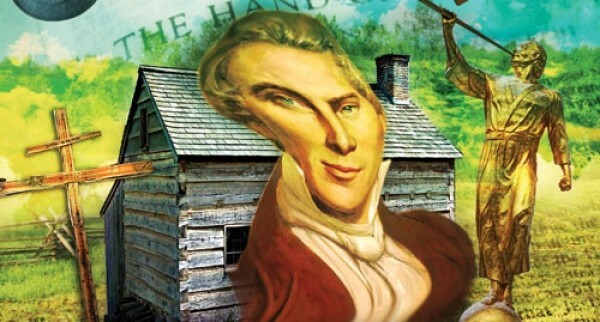 In looking at Joseph Smith’s past, one can achieve a better understanding of Mormonism. For instance, Smith’s early use of seer stones foreshadowed his piÃ¨ce de résistance: his translation of the golden plates. The golden plates were a stack of gold metal pages bound by large gold rings containing ancient script that Smith allegedly found buried in a hillside near his home in Palmyra. He claims to have been shown the location of these plates by an angel named Moroni. Smith translated the plates from their native language, which Smith called Reformed Egyptian, to what has now become the Book of Mormon. Regrettably, few people were fortunate enough to witness this inspired display that was the translation. Luckily, those who did see it— Martin Harris, Oliver Cowdery and David Whitmer—had the wisdom to document the events, so we now have written descriptions of the process. 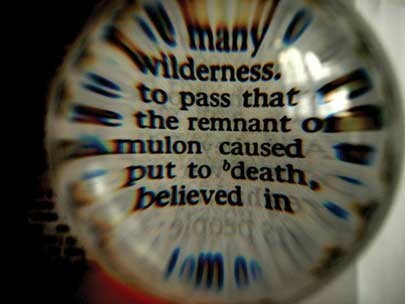 Basically, there were two methods of translation—both employing the use and artistic display of seer stones. One description details Smith’s use of the Urim and Thummim—two transparent stones set into a rim of silver, resembling spectacles—which were fastened to a breastplate. This apparatus was said to have been buried along with the golden plates specifically for their translation. Smith also used a second method of translation: a single brown, egg-shaped seer stone that he found while digging a well. Joseph Smith’s own description of the translation is simple: “Through the medium of the Urim and Thummim, I translated the record by the gift and power of God.” Cowdery, Smith’s scribe, summed it up similarly and applied some of the exact wording. Whatever method of translation was used, this must have been quite a performance. The anticipation, excitement and belief in something so divinely guided must have made for inspiring and theatrical deciphering sessions.